With stunning coastlines, undiscovered islands and un-crowded cruising, Asia is increasingly starting to attract some of the world’s largest superyachts. Fortunately the region is also already home to some of the best luxury spas in the world. Offering ancient remedies, modern science, meditation and yoga or just ultimate pampering our selection of seven the best luxury spas in Asia has something for everyone. *1. 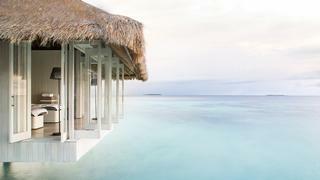 Cheval Blanc Randheli, Maldives * This resort is the most sophisticated hideaway in the Maldives. It sprawls over five islands, one of which is dedicated to its super-indulgent spa. It is only accessible by traditional dhoni boat so you’ll bob in and float out. Debut the new you at Le 1947, the resort’s signature restaurant, named after Chateau Cheval Blanc’s most prestigious vintage. Its astonishing nine-course degustation menu features super-fresh fish cooked in herbs and spices, and delicate macaroons as good as you’d get in the best dining rooms in Paris. There’s also The Diptyque, a live cooking theatre creating Japanese cuisine, and Mediterranean fare at Deelani, over the water. *Best by boat * Visiting yachts are required to send a request, then either anchor in the resort’s lagoon or just outside it and tender in. With stunning coastlines, undiscovered islands and un-crowded cruising, Asia is increasingly starting to attract some of the world’s largest superyachts. Fortunately the region is also already home to some of the best luxury spas in the world. Offering ancient remedies, modern science, meditation and yoga or just ultimate pampering our selection of seven the best luxury spas in Asia has something for everyone. This resort is the most sophisticated hideaway in the Maldives. It sprawls over five islands, one of which is dedicated to its super-indulgent spa. It is only accessible by traditional dhoni boat so you’ll bob in and float out. Debut the new you at Le 1947, the resort’s signature restaurant, named after Chateau Cheval Blanc’s most prestigious vintage. Its astonishing nine-course degustation menu features super-fresh fish cooked in herbs and spices, and delicate macaroons as good as you’d get in the best dining rooms in Paris. There’s also The Diptyque, a live cooking theatre creating Japanese cuisine, and Mediterranean fare at Deelani, over the water. Visiting yachts are required to send a request, then either anchor in the resort’s lagoon or just outside it and tender in. You have probably heard of Chiva-Som’s body-changing yoga and fitness programmes, its tasty detox menus and uplifting healers. But the little-known Medi-Spa is the real game-changer here. With enough skin-tightening lasers to rival a top London clinic and US-trained dermatologist and surgeon Dr Niwat Polnikorn at the helm, this is one of Asia’s best-kept anti-ageing secrets. The mission here is not to chase individual lines and wrinkles but to subtly rejuvenate the face as a whole. Botox and fillers are deftly used alongside a shot of Fraxel to resurface skin, or Ultherapy (ultrasound toning) to lift and tighten the jawline. Scrutinise the effects with before and after comparison photos using the latest Visia 3D facial imaging technology. An eight-hour cruise from Bali, this once-humble surfers’ paradise on Sumba Island’s south coast has been reborn — with four-posters, private pools and daybeds that become night-beds for glamping under the stars. The star act is the one-of-a-kind Spa Safari. The journey starts with a heart-thumping hike across the dramatic west coast through a local village to a private, rustic treatment pavilion overlooking the ocean. Here you spend the day working your way through the full spa menu: coconut milk head massage, cooling body wraps using organic beautifiers picked fresh from the bush, and reflexology, skilfully administered by local therapists. It’s as authentic and unplugged as it gets. For a serious detox with fast results, this back-to-basics retreat delivers faster than FedEx. The juice cleanse knocks 10 years off you in days, particularly if you’re brave enough to combine it with self-administered daily colonics (warning: even if you’ve watched all 15 series of ER, this is a big ask). Moving swiftly on, there’s plenty of back-up educational support and therapists who transmit tender loving care through their expert fingertips. Try the “detox seaweed smoothing body wrap”, a micronised algae wrap that hoovers up 21st century dirt and damage and leaves your skin silkier and your contours sleeker. Add to this possibly the best yoga teachers in Asia and four classes every day and you’ll develop such a healthy glow you won’t need a torch to find your way back to your yacht. *Best by boat * Most superyacht facilities in Thailand are clustered around Phuket, but there is a wealth of safe anchorages around Koh Samui. With Thailand now offering foreign flagged charter licenses it is even easier to visit the region. For a serious detox with fast results, this back-to-basics retreat delivers faster than FedEx. The juice cleanse knocks 10 years off you in days, particularly if you’re brave enough to combine it with self-administered daily colonics (warning: even if you’ve watched all 15 series of ER, this is a big ask). Moving swiftly on, there’s plenty of back-up educational support and therapists who transmit tender loving care through their expert fingertips. Try the “detox seaweed smoothing body wrap”, a micronised algae wrap that hoovers up 21st century dirt and damage and leaves your skin silkier and your contours sleeker. Add to this possibly the best yoga teachers in Asia and four classes every day and you’ll develop such a healthy glow you won’t need a torch to find your way back to your yacht. Most superyacht facilities in Thailand are clustered around Phuket, but there is a wealth of safe anchorages around Koh Samui. With Thailand now offering foreign flagged charter licenses it is even easier to visit the region. Dramatically perched on top of limestone cliffs on the un-touristy Bukit peninsula, the villas here are the last word in sleek minimalism and come with seductive public spaces that include birdcage cabanas cantilevered over the infinity pool. It’s scenery to feed your soul and definitely conducive to yoga and meditation. Classes are held on a treetop deck, cooled by the sea breezes, and run by the wonderful Nyoman Warta, Balinese born and bred. He will gently cajole your limbs into poses you would never believe you could achieve and, en route, magically clear your mind of stresses. Your equilibrium restored, take advantage of the fact that it is also one of the best hotels with a luxury yacht. Charter Alila Purnama, which has been handcrafted in the style of a traditional Indonesian two-masted sailing ship. The pampering doesn’t stop when you set sail, either — there is a spa on board as well as a dive centre. *Best by boat * Big Boat Quay in Benoa harbour is a super-quick tender north east from Alila Villas. There’s so much on the coast, however, from Uluwatu temple to a scattering of ultra-luxe resorts, that you might want to anchor off and use your boat to explore. Dramatically perched on top of limestone cliffs on the un-touristy Bukit peninsula, the villas here are the last word in sleek minimalism and come with seductive public spaces that include birdcage cabanas cantilevered over the infinity pool. It’s scenery to feed your soul and definitely conducive to yoga and meditation. Classes are held on a treetop deck, cooled by the sea breezes, and run by the wonderful Nyoman Warta, Balinese born and bred. He will gently cajole your limbs into poses you would never believe you could achieve and, en route, magically clear your mind of stresses. Your equilibrium restored, take advantage of the fact that it is also one of the best hotels with a luxury yacht. Charter Alila Purnama, which has been handcrafted in the style of a traditional Indonesian two-masted sailing ship. The pampering doesn’t stop when you set sail, either — there is a spa on board as well as a dive centre. Big Boat Quay in Benoa harbour is a super-quick tender north east from Alila Villas. There’s so much on the coast, however, from Uluwatu temple to a scattering of ultra-luxe resorts, that you might want to anchor off and use your boat to explore. After holidaying in the Maldives for more than 10 years, billionaire Czech entrepreneur Jiri Smejc took the best bits of his favourite resorts and built his own. Two hundred million dollars later, he unveiled Velaa as the ultimate family hideaway. For sailors, there’s the spine-tingling chance to ride in a semi-submarine, diving among the pristine reefs of the Noonu atoll and bobbing alongside rainbows of fish. There’s also a golf academy designed by Masters champion José Maria Olazábal, an 11 metre wine tower for extreme tasting sessions, and a great kids’ club. It is also home to the only Spa My Blend by Clarins in the country. Therapists analyse computerised images of your face and body to create customised creams from 350 possible blends. *Best by boat * Yachts can be accommodated at the South Jetty or south of the island. Last year the resort started work on a yacht marina and large jetty for visiting vessels. After holidaying in the Maldives for more than 10 years, billionaire Czech entrepreneur Jiri Smejc took the best bits of his favourite resorts and built his own. Two hundred million dollars later, he unveiled Velaa as the ultimate family hideaway. For sailors, there’s the spine-tingling chance to ride in a semi-submarine, diving among the pristine reefs of the Noonu atoll and bobbing alongside rainbows of fish. There’s also a golf academy designed by Masters champion José Maria Olazábal, an 11 metre wine tower for extreme tasting sessions, and a great kids’ club. It is also home to the only Spa My Blend by Clarins in the country. Therapists analyse computerised images of your face and body to create customised creams from 350 possible blends. Yachts can be accommodated at the South Jetty or south of the island. Last year the resort started work on a yacht marina and large jetty for visiting vessels. The spiritual energy is almost palpable at this gorgeous hillside retreat on Koh Samui’s undeveloped south east coast. The location was chosen because it contains an ancient Buddhist monk’s meditation cave — a magical, candlelit chamber that remains a focal point for quiet contemplation. The founder Karina Stewart claims she can teach anyone to meditate and is such an incredible communicator even the most cynical won't spoil her track record. Spending time here can genuinely be life-changing, as film director Oliver Stone has found. He likes to decompress here after a project. Best by road The shallow waters of the south coast mean it’s tricky to anchor, so moor north and enjoy the beautiful drive from Bophut Beach. 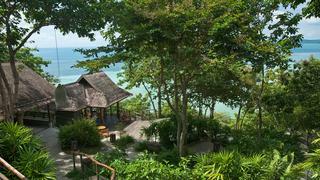 The spiritual energy is almost palpable at this gorgeous hillside retreat on Koh Samui’s undeveloped south east coast. The location was chosen because it contains an ancient Buddhist monk’s meditation cave — a magical, candlelit chamber that remains a focal point for quiet contemplation. The founder Karina Stewart claims she can teach anyone to meditate and is such an incredible communicator even the most cynical won't spoil her track record. Spending time here can genuinely be life-changing, as film director Oliver Stone has found. He likes to decompress here after a project. The shallow waters of the south coast mean it’s tricky to anchor, so moor north and enjoy the beautiful drive from Bophut Beach.